Aratrika Reddy, the charismatic CEO of ARYA Holdings Ltd., has just 8 Hours to save her company from certain bankruptcy. The multi-billion dollar hotels to steel conglomerate, founded by her mercurial father, liquor baron Madhusudhan Reddy, has many suitors, all of them plotting a hostile takeover. Aratrika’s estranged husband, Siddhartha is one of them. His inside knowledge is the real ace up his sleeve. The Rathores, the Reddys’ arch-rivals are looking to buy ARYA too and thereby settle old scores. 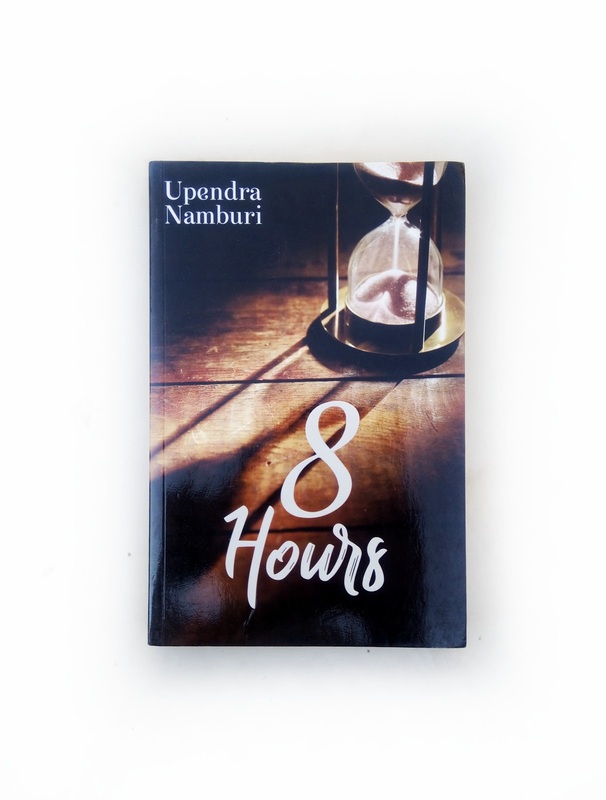 Aratrika has to weave her way through a litany of lawyers, politicians, bankers, bureaucrats, investors, power brokers and her dreaded family. Behind the scenes, Jagannath Rao, her wily uncle, is playing a dangerous double game of manipulation. Her father Madhusudan is furiously pulling the strings from behind the scenes. To add to the confusion, overseeing the whole sale process is her old flame, Peter. Over the course of a single night, 8 Hours to be precise, Aratrika must fight the demons at the gates of her company and those within. It’s a fight to the bitter end. 8 Hours by Upendra Namburi is a story about Aratrika Reddy, the Charismatic CEO of ARYA Holdings Ltd who has just 8 Hours to save her company from certain bankruptcy. The cover page of the book is very simple and decent. The title is very well justified. The story is well thought and I liked the detailing in the book. The writing is lucid and easy to understand. Every chapter is titled after the hour or the minute that passes by. The book starts off on a promising note but over time it loses the grip. The plot moved very slowly in a few places, I lost patience with it a couple times. It took me awhile to read it because the story was so not gripping. The characters did not really have a build-up for me. There were times when the author goes into background info in such a way that I feel like there was a book before this one that I missed but overall it was an ok read. This book does show the harsh reality of the corporate world.